I am one of the few people who can say that they danced, sang, and celebrated Mass on the Pennsylvania turnpike. Unfortunately, this came at the cost of sitting in the same seat on the same bus at the same mile marker with the same people for nearly a day. I had attended the March for Life before, but I had never experienced anything like this. For the last 43 years, pro-Life activists from all over the country have travelled to D.C. to attend the March. The journey takes place on January 22nd, the anniversary of the Roe v. Wade decision. As marchers returned home this year, two feet of snow buried the East Coast, creating treacherous driving conditions. At 7:00 pm on Friday, our bus of forty John Carroll University students came to a halt at mile marker 132.8 of the Pennsylvania Turnpike. There had been an accident. We remained in that spot for the rest of the night, near the front of a long line of March for Life buses that extended for miles. 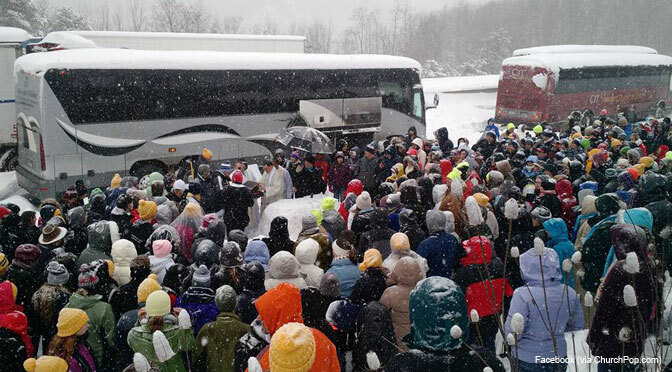 The snow continued to fall relentlessly, and I anticipated news stories finally featuring the March for Life. The popular media covered the predicament of the travelers, but no emphasis was placed on why we travelled. I hope to provide that emphasis. I remember a distinct moment in which I felt belittled by the vastness of the snow. We had been sitting for 15 hours on the PA turnpike and my body ached from being in the same position. I got off of the bus to stretch my legs, and for the first time I realized how severe the situation had become. Snow was up to my knees. Semi-trucks that had always seemed so large now appeared defeated. The snow trapped them and patches of ice formed around their wheels. We were in a bus that had a gas tank which held 125 gallons. It required one gallon for every hour that it sat idling on the highway. I was cold, but it could have been far worse. Some people around us were in cars which ran out of gas during the night. The snow was dangerous; it terrified me. But morning came, and something beautiful happened. The very snow which brought us into this mess created an altar for my very first (and probably last) snow Mass. Hundreds of people gathered on the shoulder of what had been a busy highway. That day, the roads were extraordinarily silent as the snow fell. The anticipation built among the crowd of Pro-Lifers as we waited for Mass to begin. Some marchers sang well-known hymns. I peered over those in front of me, and saw a man holding an umbrella to the right of the altar. The umbrella created a makeshift tabernacle that announced that Jesus was present. Somehow, the snow which had terrified me only moments before, brought me peace in the presence of God. I had a moment of realization: somewhere between the inhumane rhetoric that our nation has adopted to justify abortion and the seemingly fruitless marches year after year, I had lost hope. But the most beautiful movements have moments of hopelessness in which some paradoxical mindset revitalizes the staunchness of its supporters. Martin Luther King Jr. was imprisoned when he wrote “Letter from Birmingham Jail,” perhaps one of the greatest pieces of protest literature to date. Mahatma Gandhi served his time in the solitude of a jail cell as well, time that he used to reflect on the movement he was leading, to pray for guidance, and to read many religious and philosophical texts. Reflective time, whether from a jail cell or a coach bus, does not go to waste. The trip turned into a retreat, and the retreat turned into an offensive. Someone got their hands on a shovel and others utilized pro-Life signs as makeshift shovels (who knew, right?) to begin excavating our bus and other vehicles in our vicinity. After almost 24 hours of being stuck in the same place, our group loaded onto the bus, and we departed from mile marker 132.8 of the PA Turnpike. Many have expressed their sympathies for what happened to me, but I hold no regrets. God gave me an eye-opening experience of solidarity with the silenced. All of the stranded relied upon a small team of men and women working around the clock to provide us with whatever resources were available. Our lives were in someone else’s hands. It seemed all too appropriate that a situation of vulnerability would occur for those who were trying to protect the vulnerable. 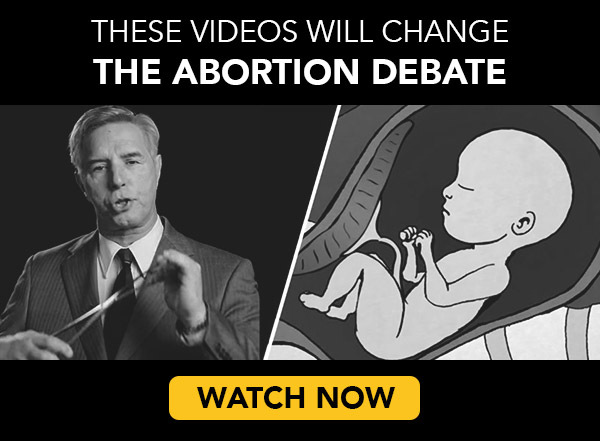 Today, there will be around 3,000 abortions in the United States alone (about 10 children have died in the time you’ve taken to read this article). Where is the anger? Recently Mahatma Gandhi’s grandson, Arun Gandhi, spoke at John Carroll University. He said that anger is like electricity – if used correctly, it can be channeled for something good. Can you live with the fact that 58 million (and counting) children have been killed in America since 1973? I certainly cannot. So if you were hoping to read a feel-good story about how forty college kids braved the cold, I apologize. We really didn’t do much but sit around. In the same way, the March has never been about walking a few miles through downtown D.C. or seeing the city and its monuments. It’s much more serious than that. Personally, I never want to go to D.C. during winter ever again, but I will if I have to. This article is simply asking the question: Why does this movement appear to be at a standstill? Where is the reproach with the fact that our country, which guarantees basic rights for all, cannot be relied upon to protect the most basic right – the right to life. My experience led me to ask myself: What more can I do? And so I wrote this.